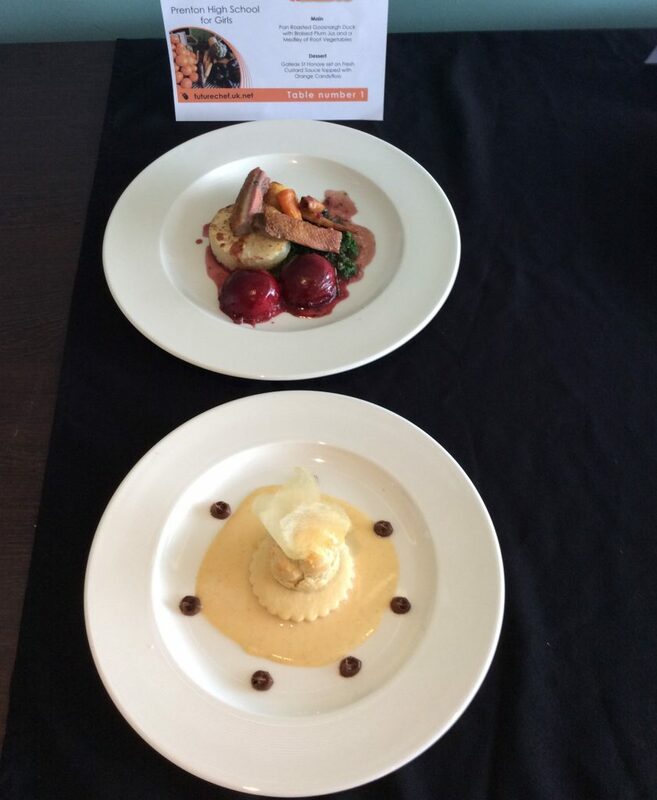 It has been an amazing journey for Year 10 student Ciara – having first won her school heats, then the local finals, she has now been crowned North West Regional winner of the Springboard FutureChef Competition, held last week at the Manchester College. 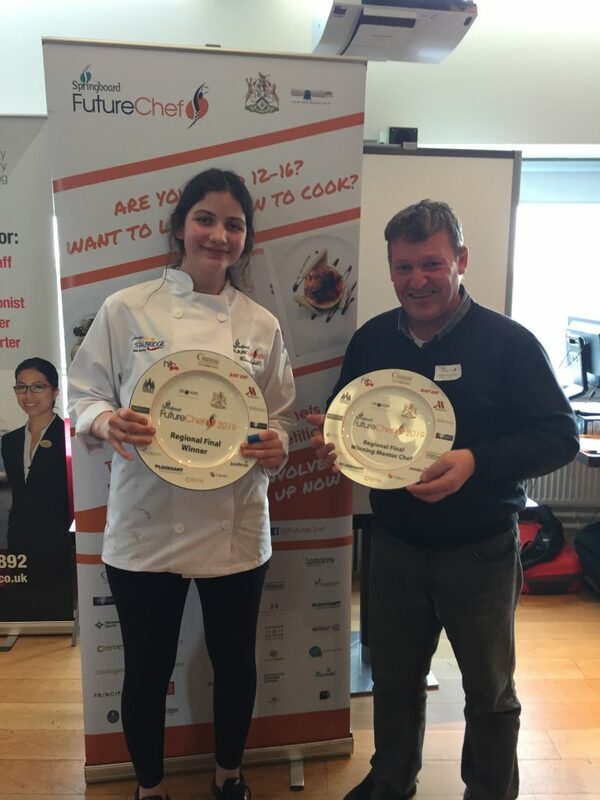 In addition to gaining this prestigious title, Ciara was also awarded a set of specialist Chef’s knives, embroidered Chef’s whites and apron, and a souvenir plate to celebrate her achievement. 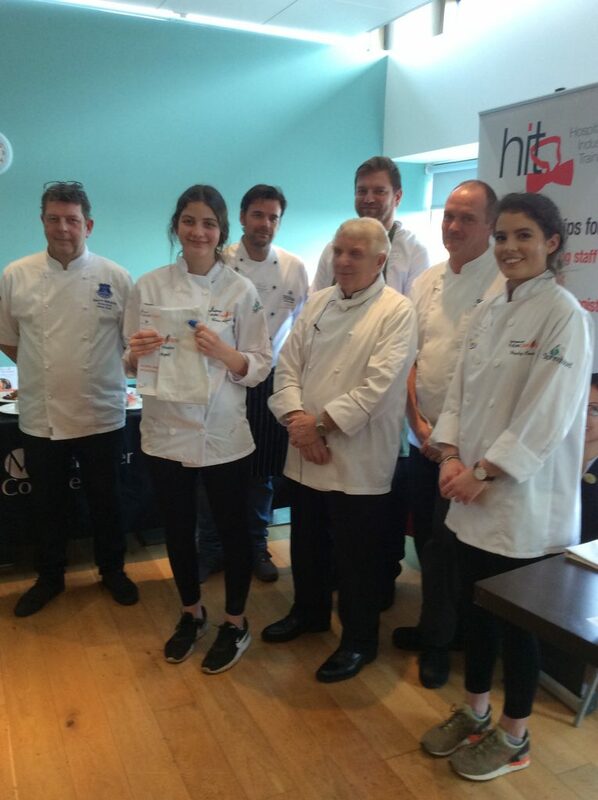 The sponsors of this prestigious award are a veritable ‘who’s who’ of leading industry organisations, employers and colleges and the line-up of judges makes Ciara’s achievement extra-special – on this occasion she had to impress Everton FC Head Chef, Gareth Billington, Mark Wetherill, Group Development Chef at Corporate Services, 2018 FutureChef winner, Hayley Cancea, and Chefs from the Hilton Deansgate and Crowne Plaza, Manchester, and the Mere Golf Resort and Spa, Knutsford. With over 12,000 twelve to sixteen year-olds starting the competition nationwide each year, Ciara is now one of just 12 Regional finalists heading to the National Final in London this March. With the exception of Gareth Billington who will also join her in London, she faces some new judges – last year they included celebrity chefs Brian Turner, Rick Stein, David Mulcahy, Steve Munkley and Gary Maclean. Ciara will have just a few weeks to create a new menu for the finals, once she has learned what ingredients she will be given. 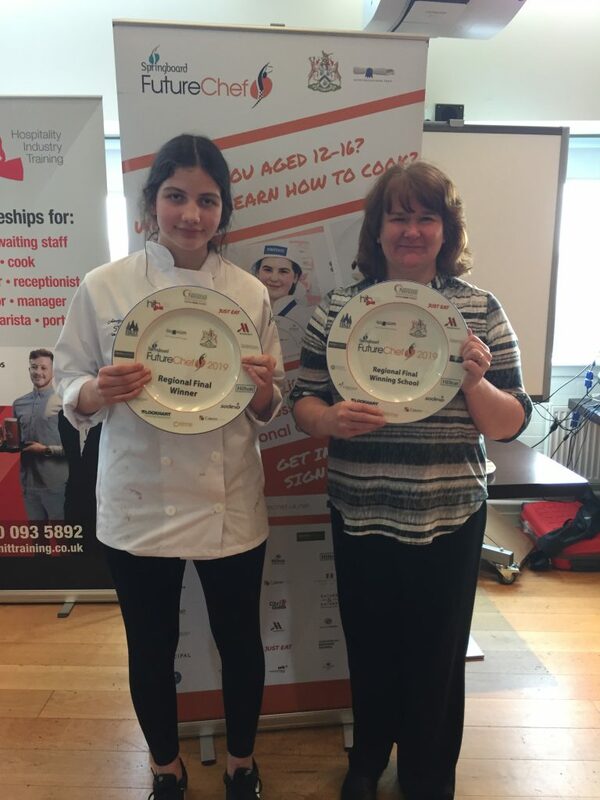 As well as from Mrs English, teacher D & T Food and pictured here with Ciara, she will continue to receive the encouragement of her Mentor Chef, James Holden from the Royal Academy of Culinary Arts (pictured here with Ciara and with his souvenir plate). Following her visit to the Liverpool City Region’s launch of Visitor Economy Week at Anfield, today, Ciara has learned that, prior to the competition, she will have the opportunity to work with Michelin star Chef Chris Galvin in London, and has the promise of a work placement in July working at Paul Askew’s The Art School Restaurant in Liverpool! As Mrs English says: “I am delighted and so incredibly proud of Ciara’s achievement; she has worked so hard and with such passion for her work. I wish her the very best of luck in the final.” We all agree, Ciara – Good Luck! Pan Roasted Goosnargh Duck with Braised Plum Jus and Medley of Root Vegetables followed by Gateaux St Honoré set on Fresh Custard Sauce topped with Orange Candyfloss. Next Post We ‘R’ as ‘1’ at Basketball!